Construction for the Ka Makana Ali’i Mall has begun, and when completed, it’ll be an amazing, top-of-the-line regional shopping center that’s also family-friendly. It’s going to be located on 67 acres of leased Department of Hawaiian Home Lands, and in a rapidly growing segment of Oahu’s Leeward Coast. Opening for this one-of-a-kind, modern design center is set for late 2016. 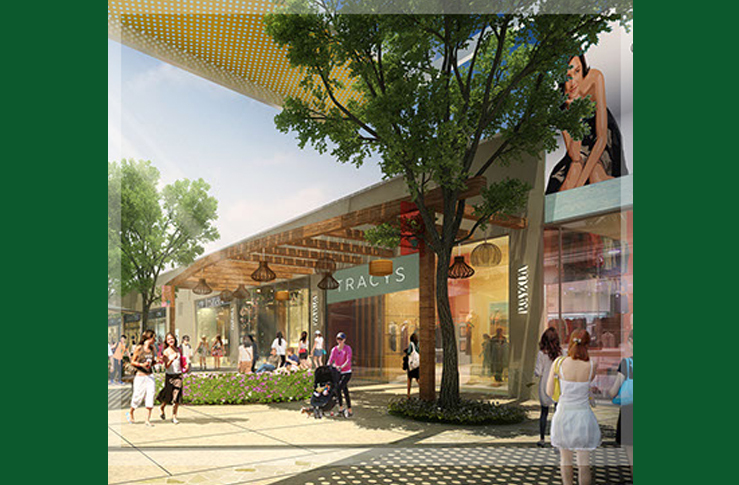 It’ll be the island’s first regional mall in more than 30 years! DeBartolo Development is currently in negotiations with many international, national and local department and specialty stores to fill the mall with. Why The Ka Makana Ali’i? Ka Makana Ali’i is being regarded as the place to go in West O’ahu with array of shopping and dining shops to satisfy even the most pickiest of shoppers. It’ll be situated at the corners of the Kualaka’i Parkway and Kapolei Parkway with plenty of parking and public transportation to partake in. It’s also conveniently located next to the upcoming Kapolei Rail Station.